MocoSpace, the largest entertainment destination on the mobile Internet, today announces the launch of the “Moco Summer Concert Contest,” rewarding members of the Moco community with concert tickets to some of the biggest tours of the summer. With the launch of Stage Hero, Moco hit gold (or platinum, in music industry parlance), with 350,000 monthly average users (MAU). Session times for the game average over 4 minutes and players are averaging nearly 2.5 sessions per day. Moco yields 1 million + social gamers each month. In Stage Hero, players can choose to play gigs solo or jam with others. They can also keep track of their friends by selecting ‘My Groupies,’ and ‘See the Manager’ if they need more energy to play. Players advance as they play gigs and jam, on their way to finding fame and fortune. Players may also improve their game characters through spending Moco Gold, MocoSpace’s virtual currency. Moco has partnered with some of the coolest tours of the summer, offering the Moco community the chance to win tickets to some of the hottest shows of 2011, including Selena Gomez & the Scene, Ke$ha, Mötley Crüe with Poison and New York Dolls, Buckcherry, CAKE and more. ”With the continued success of Stage Hero, we wanted to reward our community with a special surprise ” said MocoSpace CEO and co-founder Justin Siegel. “Giving away tickets to some of the biggest tours of the summer seemed like the right place to start.” The site plans to kick it all off with a ticket give away to Mötley Crüe with Poison and New York Dolls for the July 6th Tampa, FL date and the July 8th Biloxi, MS date. Moco hopes to add more names to the “Moco Summer Concert Contest” as the summer continues. 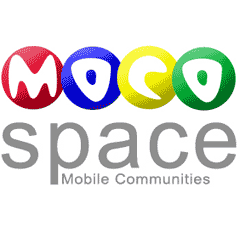 About Mocospace: Founded in 2005, MocoSpace is a mobile social community designed to help people find friends, have fun and stay connected on their mobile phone. The service is free and available on any web-enabled mobile phone in the world. MocoSpace is a privately held company with offices in Boston, MA and Herzliya, Israel.